When you're a Chinese pop sensation with your sights on America, your schedule is bound to be backed up. Just look at Lay Zhang. The only Chinese member of K-pop boy band sensation Exo, he wrote in a New Year's greeting on Weibo: "I rested eight days in 2018 - I hope I will be able to rest for seven days in 2019." That's a work ethic he's bringing to his American ambitions. Last year marked his solo debut in the United States, where he immediately made an impact. His 22-track album "Namanana", recorded in both Mandarin and English, quickly soared to No 21 on the Billboard 200 - making him the highest-charting Mando-pop artist of all time. He already has American activities in the works this year: he'll attend the 61st Grammy Awards as an ambassador for radio station FM Donggan 101. It's a move that brings him one step closer to a long-term goal of performing at the Grammys. In the meantime, he's linking up with big names from the West - on January 20, he lit up the stage in Shanghai alongside DJ Steve Aoki and rapper A$AP Ferg. Zhang made his name in South Korea as the main dancer for Exo and his return to full promotional activities in the K-pop supergroup is hotly anticipated. 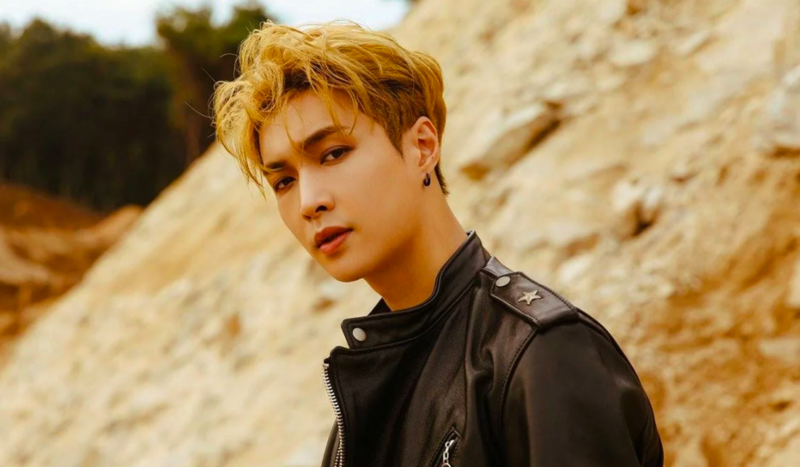 He appeared in the music video for Exo's recent Tempo single and provided vocals for the Chinese version of the track. But he's mainly been focusing his energy on a solo career in China. It's hard to overstate how massively Zhang's star has risen in China. In 2017, the singer and actor, known as Zhang Yixing in his home country, was ranked at No 20 on Forbes' 2017 China Celebrity List after generating 120 million yuan (US$17.8 million). His comedic turn in The Island garnered acclaim after the film shot to the top of the Chinese box office in its first week. Then there was the TV show Idol Producer, which increased his recognition in the region. Now that Zhang has checked all the boxes for success in the East, will 2019 be the year he makes it big in America? Aoki seems to think so. "He's got a lot of crossover potential to really pull a large demographic and fan base in America," the American DJ tells the South China Morning Post. "I've noticed personality is a really big part of your music. And the artists that have crossed over in America and internationally have really vibrant personalities. He's not just a great dancer, a great singer and part of a really big group. He's got something really special - and the human quality people really look for." The DJ says his stage collaboration with Zhang was organised through Samsung, the electronics giant for which the Chinese singer is an ambassador. 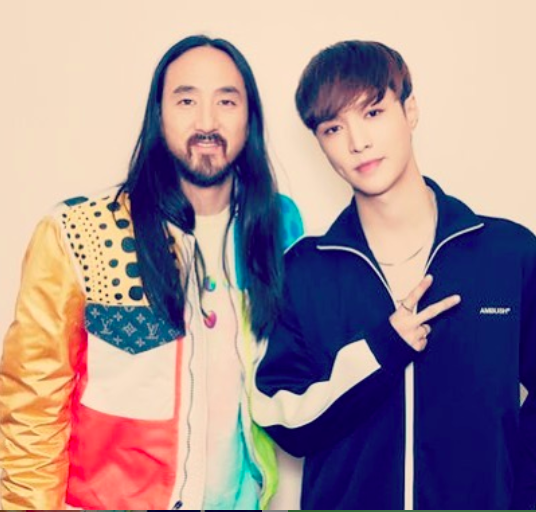 The South Korean conglomerate asked Aoki if he'd want to work with Zhang on a live song. "I was all about it," he says. "So I flew out to Shanghai and the easiest thing we could do was to have him arrange the choreography for one of my songs [Shakalaka], since we don't have any music out together. "I can definitely call him a friend now," he continues. "Now we're talking about doing fun stuff in the future. I don't want to give away too much." A$AP Ferg and Aoki aren't the only big names in Zhang's contact list. Bazzi, the American pop star and occasional K-pop songwriter, can be found on the liner notes of the song Give Me a Chance from "Namanana". Music app Shazam teased a shot of the Chinese superstar in the studio with DJ Khalid back in December. And then there's a collaboration with Jason Derulo and label mates NCT 127 in tribute to Michael Jackson, which is slated for a Feb 22 release. Although his solo career technically fits the Mando-pop label, this series of collaborative efforts reflects a pattern that reached new heights. The South Korean music industry is no stranger to linking up with American stars, but the Western presence was more pronounced in 2018. The combinations were endless: Blackpink and Dua Lipa, CL and Black Eyed Peas, BTS and Nicki Minaj (as well as Aoki), Red Velvet's Wendy and John Legend, Super Junior and Leslie Grace. It's a smart move, because high-profile collaborations make up a significant chunk of the Hot 100. Last year, The Economist estimated that around a third of hit songs were collaborations. It's a calculation that held true at the end of 2018 - and then some. Joint efforts appeared on more than 40 of the songs on Billboard's year-end chart. The top 10 was dominated by artistic cross-pollination as seven tracks included guest artists. Still, Aoki rejects a suggestion that collaborations are a strategy. "[Idols] don't necessarily need to work with anyone outside their world," he says. "They're just having fun with it, I think. They're not like, 'Well, we need to do this. We're gonna get here.' They're already there." Zhang does have a few more advantages when it comes to an American crossover. He's been learning English at lightning speed to the point that he no longer needs a translator for interviews with English-language outlets. He also co-composed and arranged all of the songs on "Namanana", so he can easily dodge the "manufactured" label American outlets often apply to K-pop artists. The real challenge to determining an artist's crossover viability is assessing the dividing line between fandom generated success and general public appeal. So far, Zhang's recognition in the US has been mostly generated by fans - but he's making impressive strides toward achieving more visibility with the American general public. This raises the question: do artists even need to appeal to the general public any more? Asian artists can chart purely on their support of their own fan bases, so why is it necessary to get the general public's recognition? The streaming era's decentralisation of the mainstream means that popular and niche are no longer contradictions. "EDM also appeals to a very large demographic," Aoki notes, "yet it's not necessarily on the radio, and it doesn't have to be. There's a synergy there with how strong K-pop is without having this American radio success." Mando-pop now has a real shot at viability in America as audiences embrace foreign-language artists such as BTS, Bad Bunny and J Balvin. Last year saw 10 albums by K-pop artists (including Zhang's "Namanana") grace the Billboard 200 chart. Foreign-language artists consistently dominate YouTube's global music charts. And according to Rolling Stone, the most streamed song in the final quarter of last year - taking all music platforms into consideration - was the bilingual Taki Taki by DJ Snake, Ozuna, Cardi B and Selena Gomez. So it's safe to say that Zhang is entering the US scene at the perfect time - and the audiences stateside should be hearing a lot from this Chinese star in 2019.